Custom Cherry and mahogany Kitchen... with a rosetta inlay thru the upper doors. This kitchen is a unique original 'for its day'. 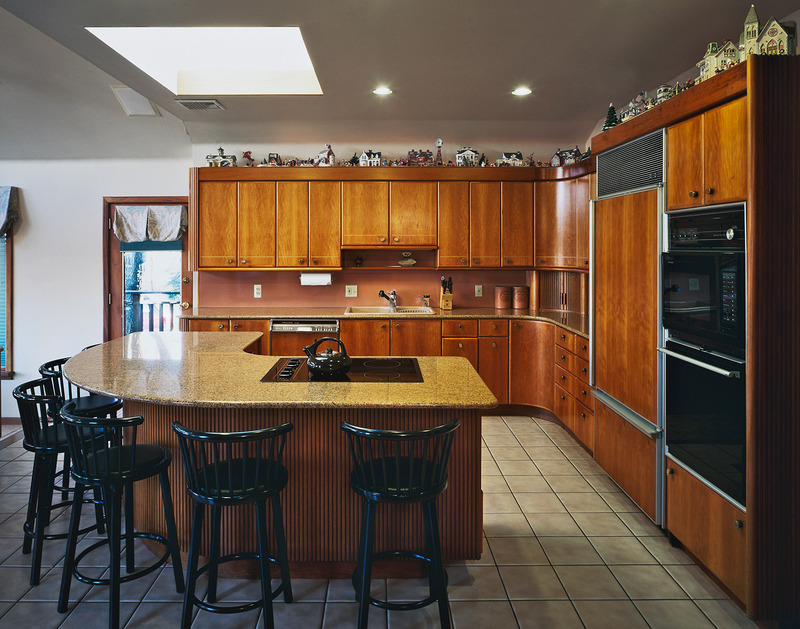 It has beveled glass cabinet doors, tambor mahogany accents and furniture type handles rather than the typical kitchen hardware.